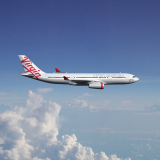 Virgin Australia and Hainan Airlines have today announced a new codeshare agreement that will create a streamlined travel experience for guests flying between Australia and mainland China. ✈ Guests to book all flights, including connecting flights, under the one booking, with a single baggage drop where permitted. In addition to the codeshare, eligible guests under both frequent flyer programs will be afforded with additional customer benefits when travelling on all Hong Kong Airlines operated flights (excluding to and from North America), and on international services between Australia, New Zealand and Greater China on Tianjin Airlines and Capital Airlines(1). Further, eligible guests under both frequent flyer programs will receive Priority Check-In, Priority Boarding and Additional Baggage Allowances on flights between and within Australia, New Zealand and Greater China(2). They will also have access to lounges operated by Virgin Australia, Hainan Airlines and Hong Kong Airlines(3). 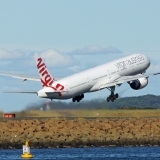 Virgin Australia Airlines Group Executive, Rob Sharp, said that the partnership was an important step forward in the expansion of Virgin Australia's offering into Greater China. 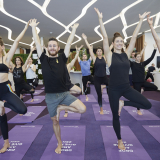 "Virgin Australia is excited to partner with Hainan Airlines to extend our services into mainland China, and to build upon the success of our Hong Kong services. As the fourth largest and biggest independent airline in the country, we are confident that Hainan Airlines is the best partner for us to expand into Greater China with," he said. Chief Executive Officer for Hainan Airlines, Jeff Sun, also heralded the growth opportunities that the codeshare provides for both airlines. 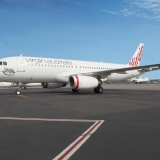 "Hainan Airlines is delighted to be working with Virgin Australia under the codeshare. These services will not only help to boost tourism in each country, but they will also provide guests with an exceptional travel experience for a great value," he said. Flights under the codeshare partnership will go on sale on 21 June 2018 for travel from 2 July onwards*. (1) Additional benefits include Priority Check-In, Priority Boarding, Additional Baggage Allowances and Lounge Access, available for travel from 2 July 2018. (2) For Hainan Airlines and Virgin Australia operated services with a HU or VA flight number. (3) Velocity Platinum and Gold members will be able to access Hainan Airlines operated domestic Lounges in Beijing (T1 lounge only), Xi'an, Guangzhou, Urumqi, Taiyuan and Haikou airports when travelling on Hainan Airlines operated services and Hong Kong Airlines operated Lounges in Hong Kong when travelling on Hong Kong Airlines operated services (excluding services to North America). 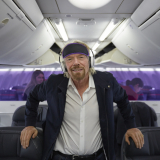 Fortune Wings Club Platinum and Gold members will have access to all Virgin Australia operated Lounges when travelling on Virgin Australia operated services as well as Lounge access when travelling on Virgin Australia operated services between Sydney and Melbourne to Hong Kong.